If you’re having a new concrete driveway poured you can have river rocks embedded in the surface to create a pattern. At this home, smooth, dark pebbles were arranged to create a series of large diamonds. The control joints are also cut in a diamond pattern so that the overall design is not cluttered. The edges of this driveway are also bordered with used brick as well as the transition into the garage. 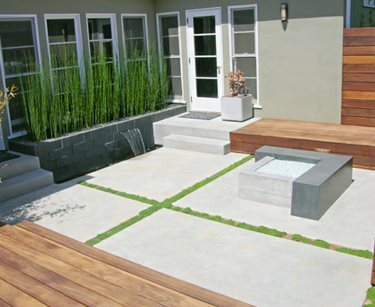 Another way to upgrade freshly poured concrete is to lay irregular flagstones in select areas. 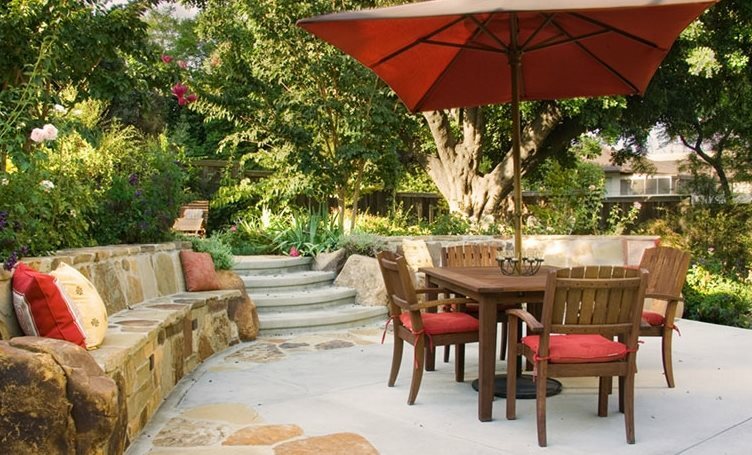 On this patio, warm colored flagstones soften the transition between the patio and the stairs and bench. While adding flagstone to the concrete will increase your cost, it will be nowhere near as expensive as paving your entire patio in stone. Make sure that the pieces of stone are installed completely flush with the concrete to avoid tripping hazards. 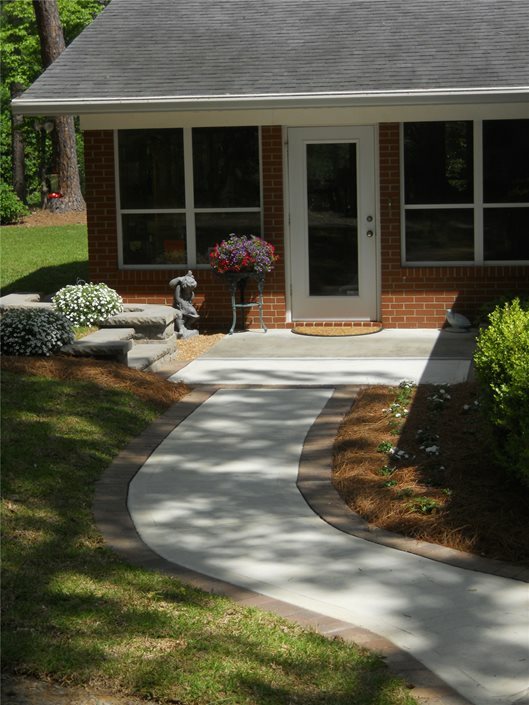 If you have an existing plain concrete walkway it can be upgraded with a border of pavers. 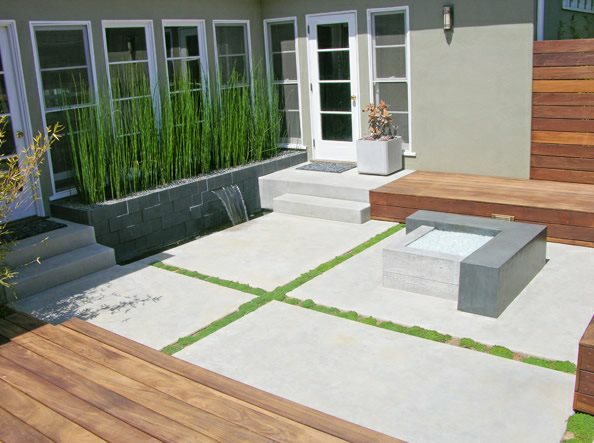 Select a paver color that contrasts nicely with your concrete. Here, the designer used a dark paver to serve as a distinct outline along the curved edges of the walkway. A paver border will give your path a finished look, just as a frame does for a photograph. 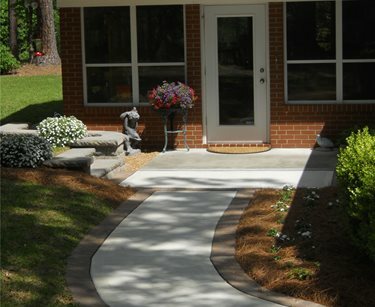 Pavers can be installed fairly quickly and don’t require heavy machinery, so your walkway improvement will be a breeze. 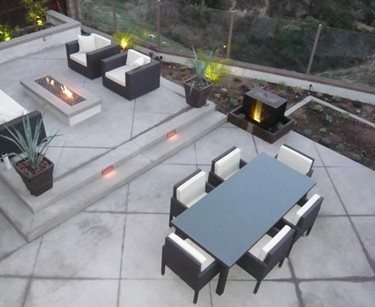 A basic gray patio can be quite boring. However, if some thought is put into where the control joints are placed you can create a very interesting design. 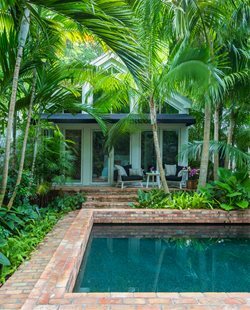 This outdoor living patio has a diamond pattern cut into it, making it appear as if the space is paved with oversized tiles. 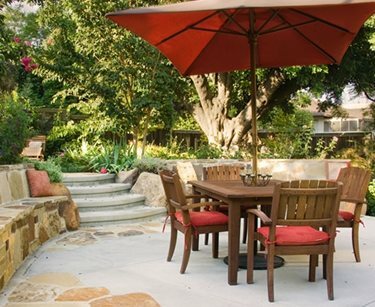 If you have an existing patio, shallow saw cuts can be made to give it a facelift. Have a contractor come out and look at the placement of the joints and draw up a possible design. Rather than having control joints cut to avoid cracking, you can have your patio poured in multiple small-scale slabs. At this home, four slabs were poured with a few inches of space between them. 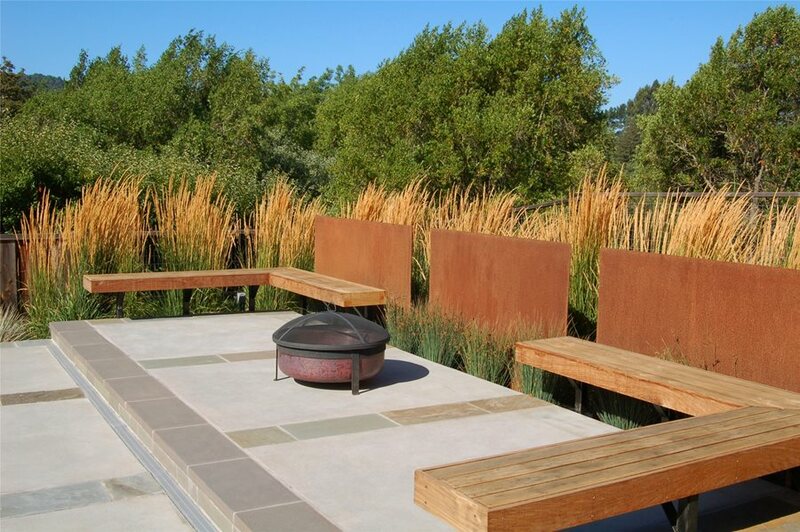 Groundcovers were planted in the open spaces between the slabs to provide color and graphic interest. 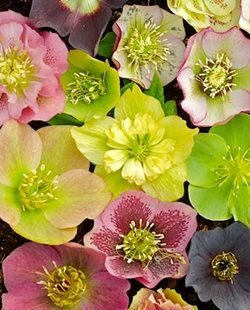 Be sure to select a tough groundcover that doesn’t require a lot of water and can handle foot traffic. 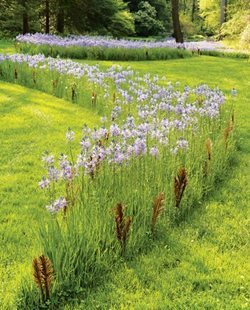 Depending on the plant, this type of application may require underground drip irrigation to be installed. 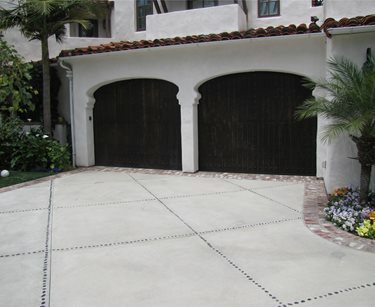 Decorative bands can help break up a monotonous expanse of concrete. 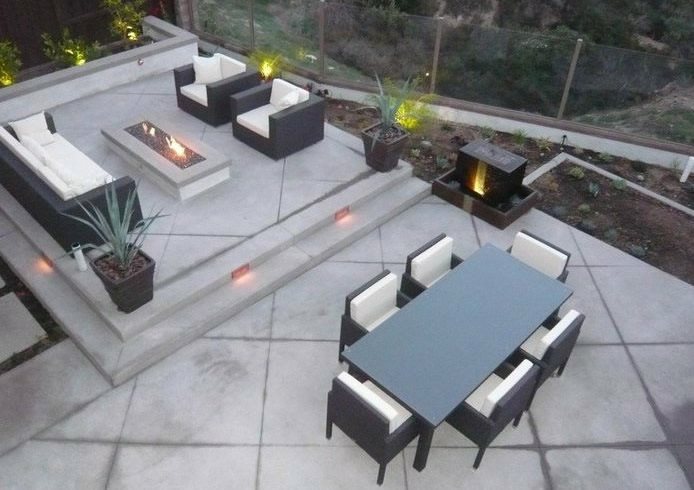 For this elevated patio, bluestone was used to complement the cool tones of the concrete. Notice how the lip of the patio is also paved with stone. This helps designate the elevation change so that people prepare themselves for the step down to the lower level. Bands look best running across the narrow portion of your concrete. This provides balance by stopping your eye from running the whole length at once. 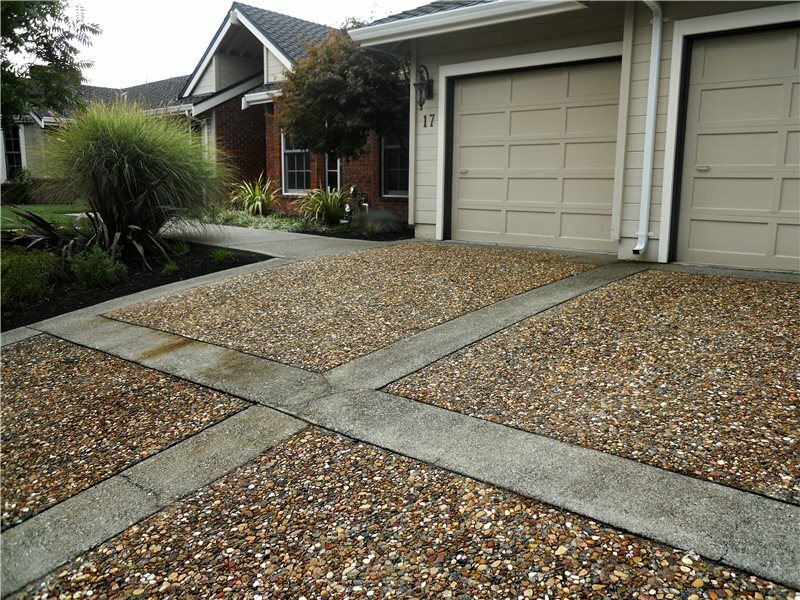 If you want an eclectic, natural look try embedding a scattered array of stones into the surface of your concrete driveway. 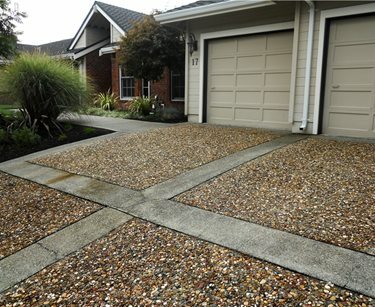 For this driveway, the stones were inserted into the wet concrete after it was poured. To complete the look, similar stones were spread along the edges of the driveway. Warning: If the stones rise too far above the surface of the driveway they could be knocked loose by vehicle tires leaving an empty hole. 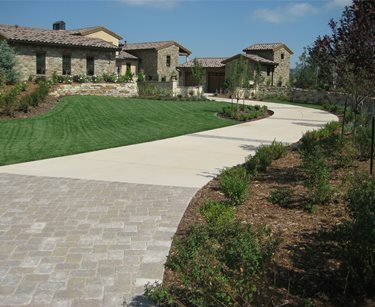 Pavers are a beautiful material that make a lovely driveway. 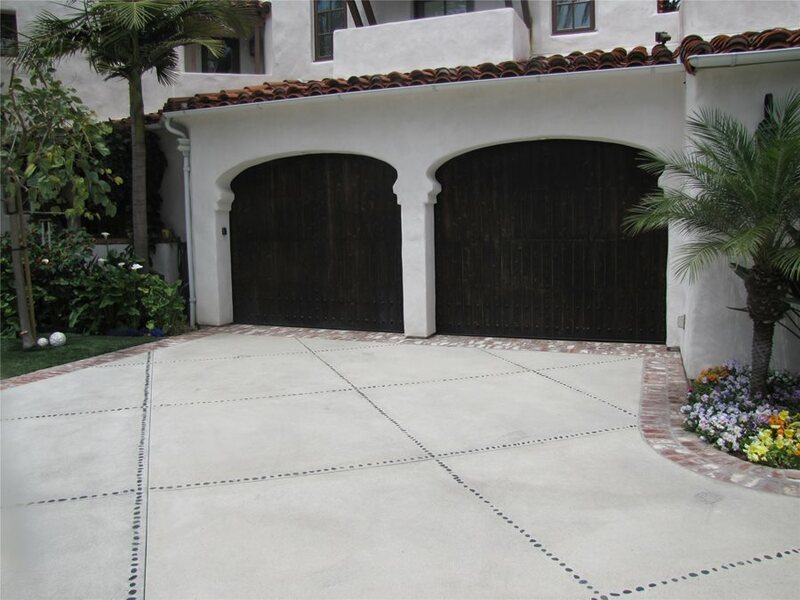 However, because of their detailed and time consuming installation they can be cost prohibitive, especially for a long driveway. At this Colorado home, an apron of tumbled pavers ushers visitors from the street to the driveway. 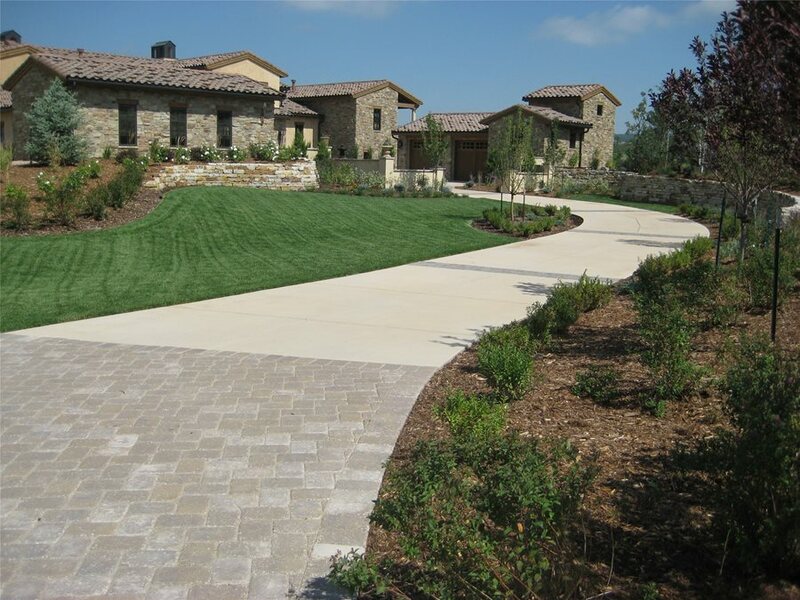 Narrow bands of pavers cross the driveway, adding interest as you approach the courtyard. 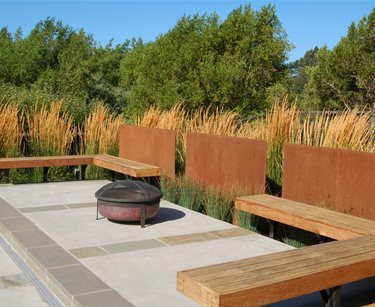 If you’re looking for an earthy texture, exposed aggregate is a great option. For this driveway, large brown aggregates were used in the rectangular fields, while fine gray aggregates were used in the bands. The contrasting textures and colors create a nice design statement that is custom, yet simple and casual. This is quite a step up from a plain gray concrete driveway, plus oil stains and tire marks will be much less visible.